We hope you will find the site easy to access for all the information you need. We welcome news and schedules of forthcoming events from members and group secretaries which will be added to the site together with photographs if required. If you would prefer to view the site in another language, please scroll to the bottom of the page to make your selection. NEWS! NEWS! 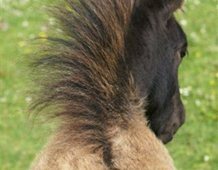 See NEWS button for details of sale of Registered Shetland Ponies under SPSBS Auspices . Links at the bottom of this page or on the main menu to the left. Contact the office for copies by post. New government deadlines have been introduced for submitting passport applications. 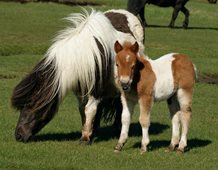 All foals must be passported by 31st December in the year of birth or by the time they are six months old, whichever is later. Applications must now be with the office by November 30th. Applications for foals born later in the year must now be with the office by the time the foal is 5 months old. Applications received after the deadlines will be accepted but will incur an additional fee and passports issued will be marked "DUPLICATE". An update on Equine Flu can be found in the News section on this website. Volume III is now available to view. Contact details for Daughter Societies can be downloaded here.